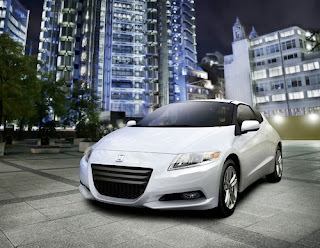 All new for 2011 when it was named the “Most-Efficient Two Seater” by the EPA1, the 2012 CR-Z debuts today with one available feature change – a new black seat fabric becomes an option on cars with the Crystal Black Pearl exterior color, replacing the standard silver mesh sport seats. 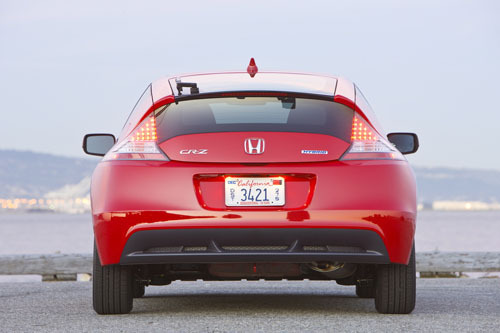 The 2012 CR-Z is available in two models – the well-equipped 2012 CR-Z and the feature-rich 2012 CR-Z EX. 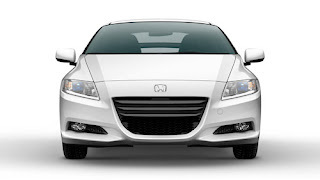 A six-speed manual transmission is standard equipment and a Continuously Variable Transmission (CVT) is available. Standard features on the 2012 CR-Z include Vehicle Stability Assist, an AM/FM/CD/USB audio system with six speakers, automatic climate control, power windows and door locks, remote entry, cruise control, and more.The 2012 CR-Z EX adds High-Intensity Discharge (HID) Headlights with Auto-On/Off, fog lights, a 360-Watt AM/FM/CD Premium Audio System with seven speakers including subwoofer, Bluetooth® HandsFreeLink®, perforated leather-wrapped steering wheel, and more. 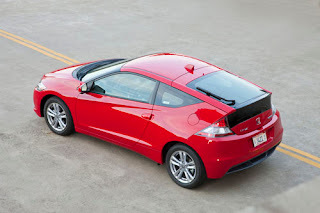 The 2012 CR-Z EX is available with the Honda Satellite-Linked Navigation System3 with voice recognition.The exterior’s “one-motion” wedge form begins at its low-slung hood to form a broad forward stance. A side profile with a deeply inset beltline adds a dynamic element, while the short wheelbase and large, wide front grille accent the vehicle’s athletic look. 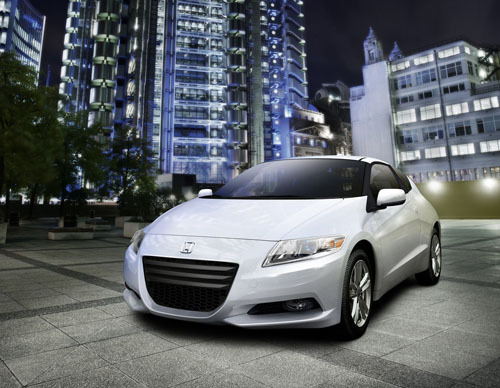 Exterior colors include Crystal Black Pearl, Milano Red Pearl, North Shore Blue Metallic (exclusive to 2012 CR-Z), Premium White Pearl and Storm Silver Metallic.A high-tech appearance and intuitive controls define the interior. Instrument panel meters illuminate with a three-dimensional blue color theme resulting in a multi-layered appearance. Set against textured black materials and aluminum-style trim accents, the upper portion of the dashboard extends toward the driver to provide a wraparound cockpit environment. Premium sport-oriented seats are designed to provide firm lateral support along with everyday driving comfort. A mid-ship console behind the front seats optimizes cargo space, and a hard-shell separator can be closed to create additional hidden storage.